In 2008 Azone International released the first Another Realistic Characters doll. This series featured popular anime characters as 1/3 scale dolls. The line slowly gain momentum. And began capturing the hearts of doll collectors and anime fans worldwide. #1 The Eyes - Unlike the typical painted Azone doll eyes, these dolls have acrylic eyes. Giving them a more life-like appearance. #2 The Wig - The wigs are not rooted like some of the other Azone dolls. So the dolls can take on a different personality with a simple change of their wig. Learn more about this series of dolls by clicking on the release links below. 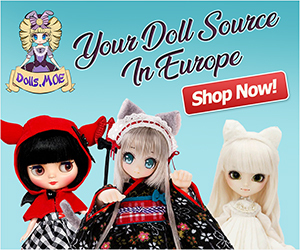 If you prefer your anime dolls in a smaller scale then visit here.